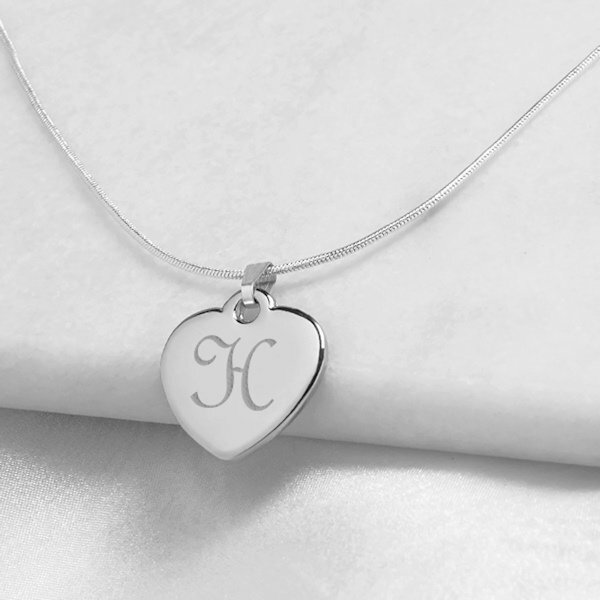 The perfect little way to make a statement, our classic monogrammed heart necklace is a timeless piece. 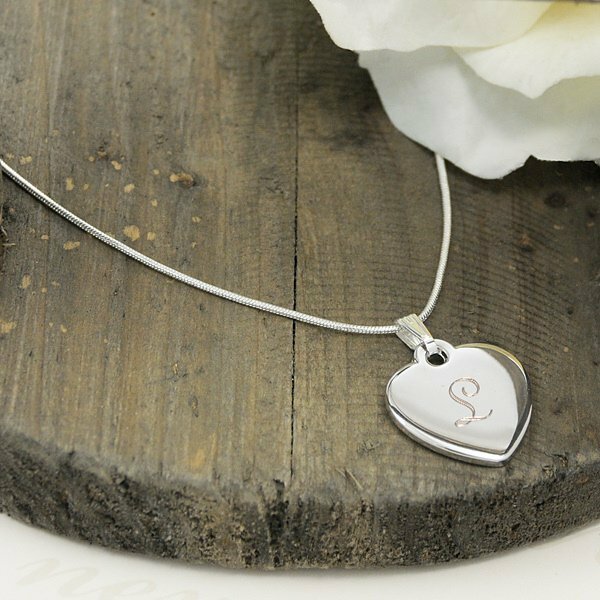 Features a sterling silver plated heart charm with free personalization. 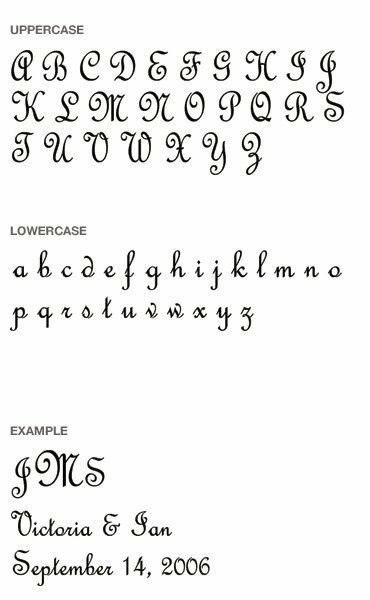 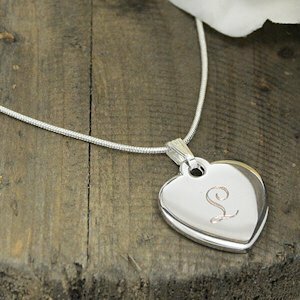 The Monogrammed Heart Necklace may be engraved with a single, uppercase script initial or single block initial at no additional cost. 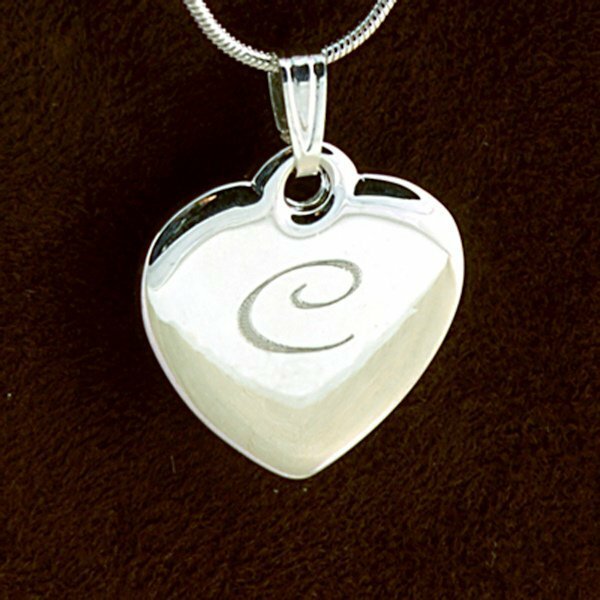 Arrives with an organza gift pouch for a pretty presentation.